“You get exactly what you pay for.” has never been more appropriate then it is with regard to the FREE websites that are offered from companies like Wix and Web.com. 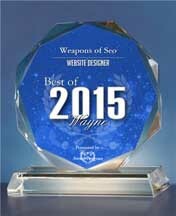 At this point in time, most businesses realize that they must have a website to keep in step with their competition. Yet, they still believe that having a website is the be all/end all of online marketing. That couldn’t be further from the truth. 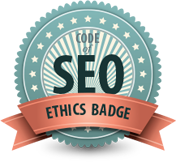 Putting up one of these free sites is no better than handing out a business card, because the only ones that are going to find it, are those that you send to it… and you already know those people. With the way that Google has evolved over the past few years, you have no chance of ever being found organically on the Internet without a fully and properly optimized website. In fact, to truly compete, you need a complete online marketing strategy; but that’s a topic for a future post. Wix and Web.com both offer free websites. You see the commercials on TV and hear the ads on the radio every day. A free website sounds pretty good, right? The problem is; these free websites do little more for you than posting a sign on a telephone pole. Wix gives you a user friendly interface witch allows you to build your own website, utilizing the various templates they offer. You can add text and pictures to sell your products. You can change colors and make it pretty. Unfortunately, there is a lot more to building a successful website, than just making it look pretty. In fact, an ugly website that is optimized properly will out perform a pretty, un-optimized website every time. Google doesn’t care about pretty, it cares about words and code. Your FREE Wix website comes loaded with ads, which of course those businesses are paying Wix to run on your website. Wix is selling ad space on your free website. 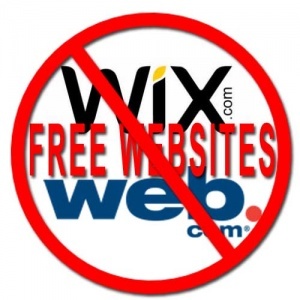 Wix is not doing you any favors by giving you that website for free. They are making money off of your traffic. You do not own your domain name with a free Wix website. Your website will be a sub-domain of Wix – wix.yourbusiness.com. You don’t own that name, it is merely a placeholder. Should you decide to leave Wix, or upgrade to one of their Premium Plans, you will have to start over with building your online presence. Those are only a few of the problems that are presented by a free Wix website. You can upgrade to one of their Premium Plans that will get rid of the ads, let you purchase your own domain name, and even let you add Google Analytics. But, they still aren’t going to do anything to help you optimize your website, making it virtually impossible for potential new customers to find you. Web.com puts a different spin on their FREE website. They will actually build your website for you… but then you are required to pay monthly fees to run it. For only $124.95 a month you get your own domain name, hosting and “entry level” online marketing. Turns out “entry level” online marketing is a couple meta tags. They also claim your business listing in Google. 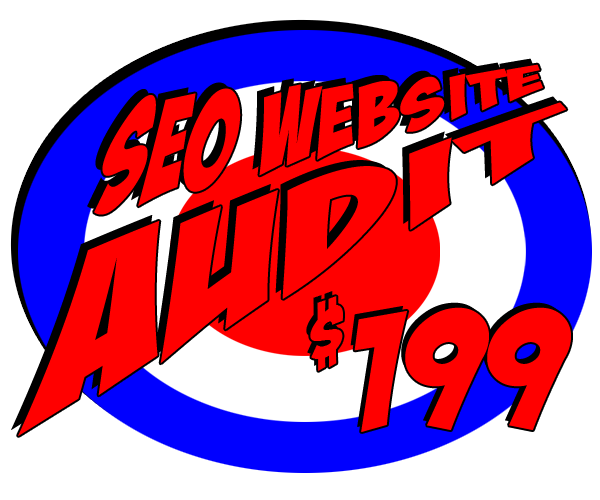 If you want to get into real SEO with Web.com, the price starts at $300 per month for local optimization, and goes up to $1000 per month for international. FREE gets left in the dust pretty quickly with both of these companies. There is just no way around it; in today’s business climate, you must have a properly optimized website, as well as a complete Internet presence. There are no short cuts. It is also not cheap. However, if don’t efficiently and correctly, the cost will be well worth it.